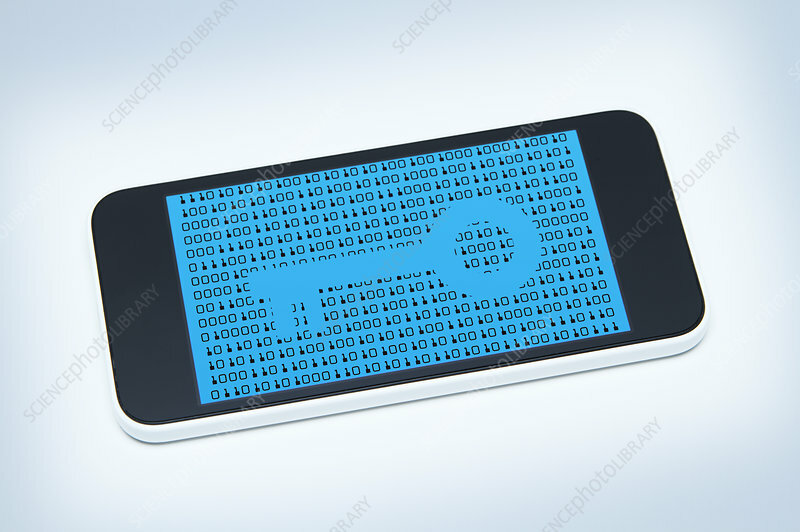 Secure smart phone. Apple iPhone 5c with a key outline over rows of numbers. All logos removed.